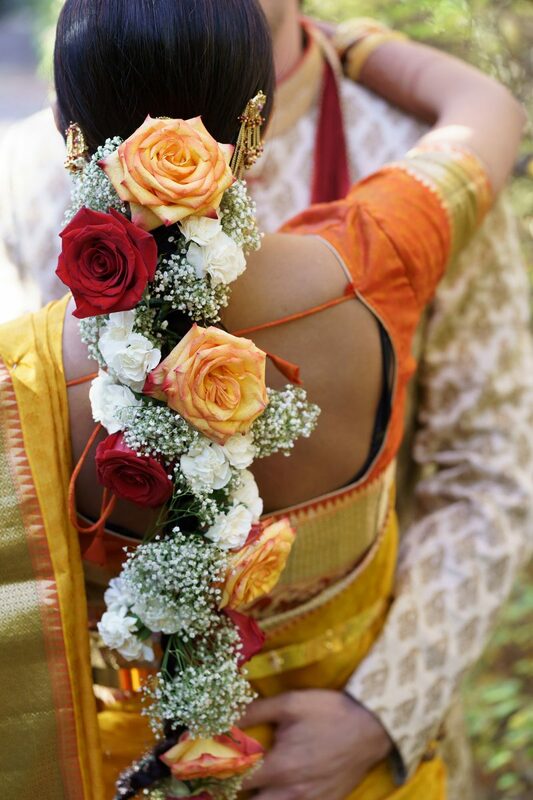 Instead of a bouquet, Rashna honored her culture by wearing a traditional South Indian long floral braid. “For hair flowers, you have to have jasmine,” she says. 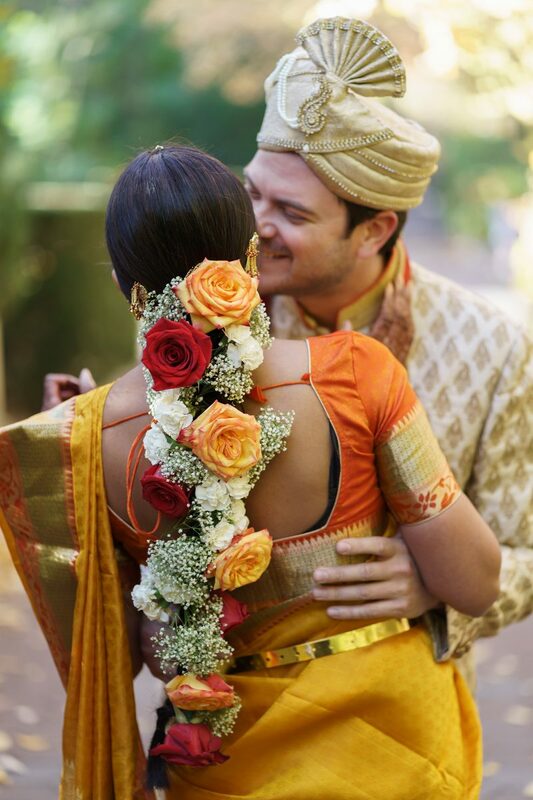 “Brides usually wear carnations, but I went with roses, because I liked their dramatic look.” Complementing Rashna’s vibrant saree, red and coral hued roses and baby’s breath cascaded down her back to striking effect. 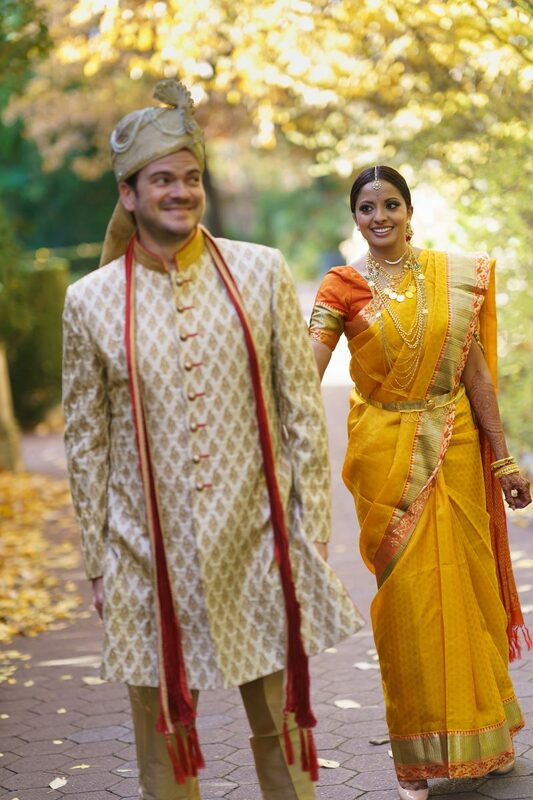 We could devote an entire post to Rashna’s jewelry. Not only beautiful, it carried symbolic importance. 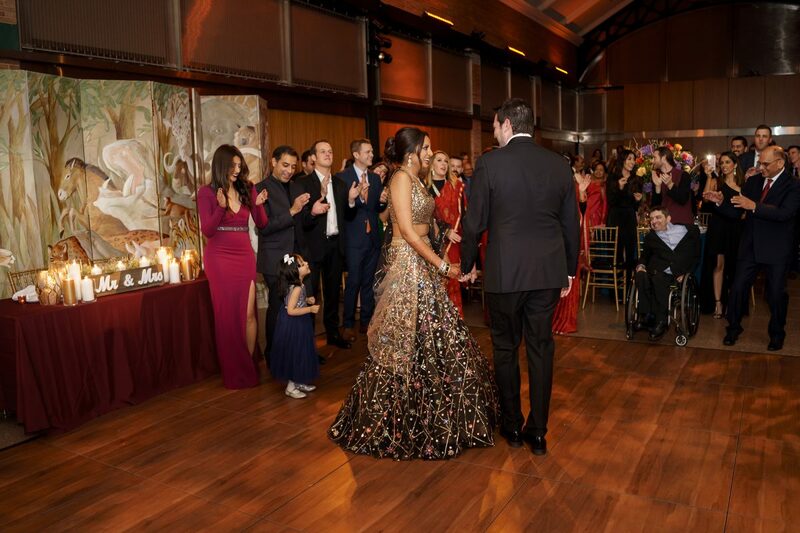 “All the jewelry that I wore during the ceremony came from my family. 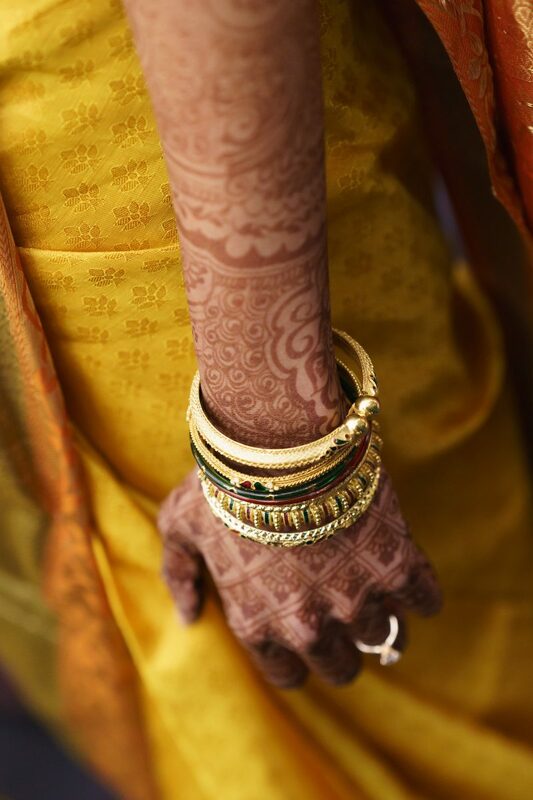 Typically, women from the bride’s side gift her jewelry to wear for her wedding. 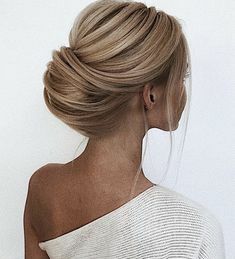 I wore five necklaces and each had to be a different length.” Additional highlights included a gorgeous gold Tikka worn at the center of her head, diamond starburst earrings, and a collection of bracelets around both wrists. 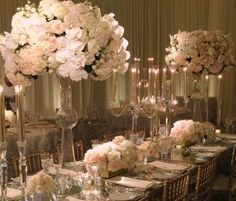 The bride had a second look planned for the late night festivities. 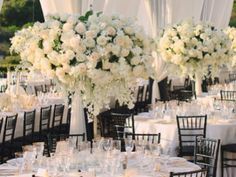 “My reception dress was the one I was most excited about. 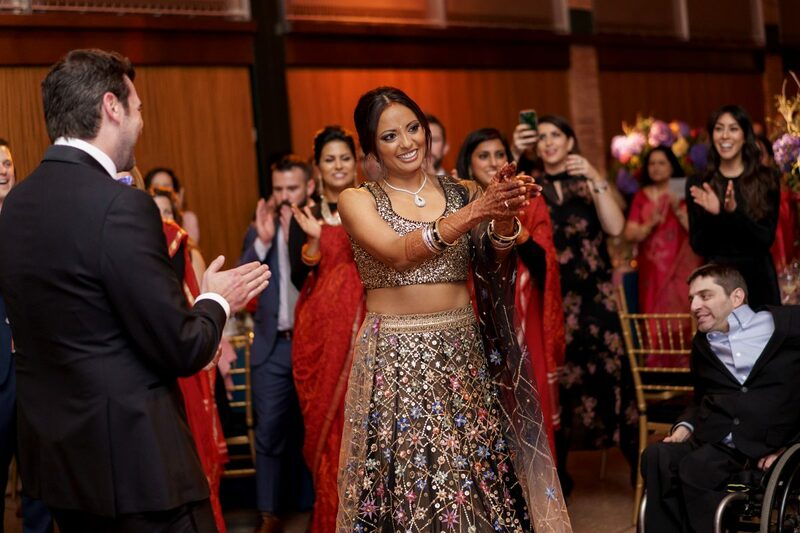 I ended up wearing a three-piece lehenga by Indian designer Tarun Tahiliani.” The lehenga was composed of a short top, large skirt, and transparent scarf. The sumptuous black and gold fabric was embellished with dazzling geometric flowers on the skirt and scarf. 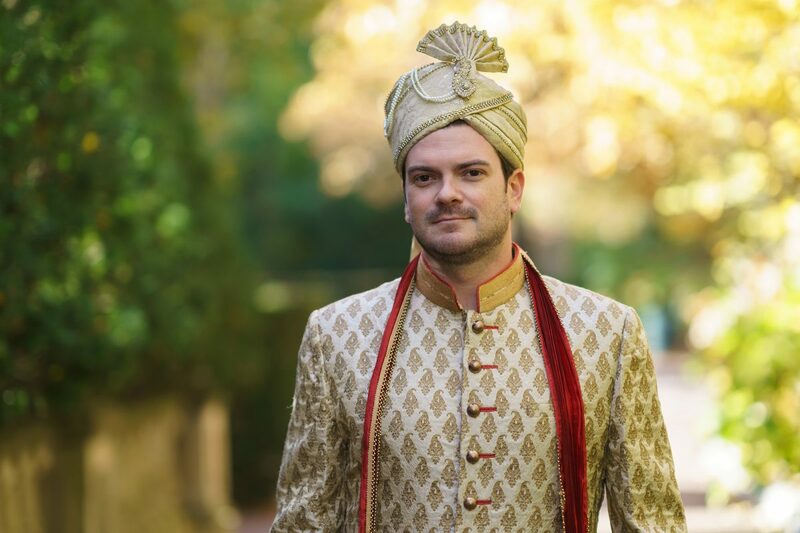 Sean matched his bride, looking dashing in ceremonial groom’s attire of a gold embroidered sherwani and turban. 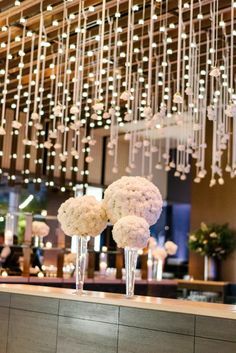 For the reception, he changed into a black Allen David suit. 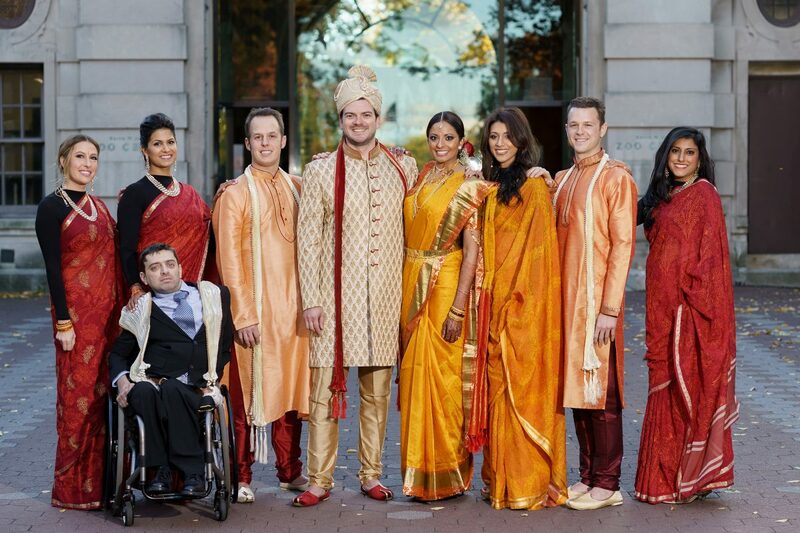 The couple’s wedding party wore traditional Indian wedding attire during the ceremony. 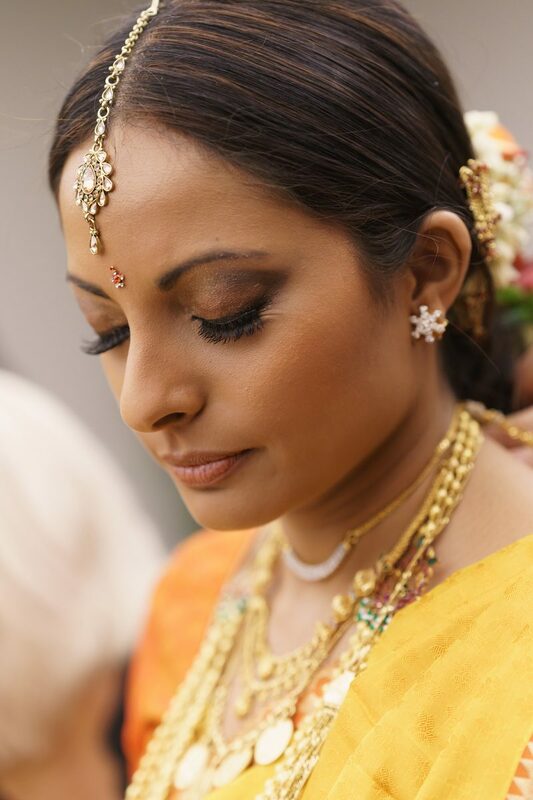 Stay tuned for next week for Part 3 when Rashna talks about her Hindu ceremony and enchanted mandap.